I think the video creator may be affiliated with, or at least knowledgeable about, http://mormonthink.com. Mormon Bandwagon is a fantastic web site. The author hopes it will be a place to safely share perspectives regarding the Church of Jesus Christ of Latter Day Saints, otherwise known as the Mormon church. Pastafarians, behold the glory of the Flying Spaghetti Monster! Have you too been touched by his noodly appendage? The Flying Spaghetti Monster, or FSM, is typically depicted--at least in images that show Joseph Smith's first vision of the FSM--as a cluster of spaghetti noodles wrapped around meatballs with protruding eyes. Here's an updated version of the holy spirit cartoon that was posted a few weeks ago. 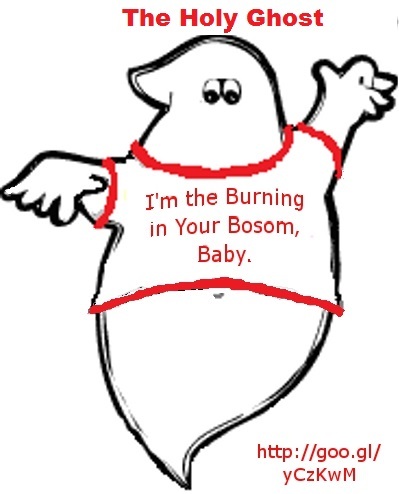 The title at the top read "The Holy Ghost" and the holy spirit's ragged t-shirt reads "I'm the Burning in Your Bosom, Baby". 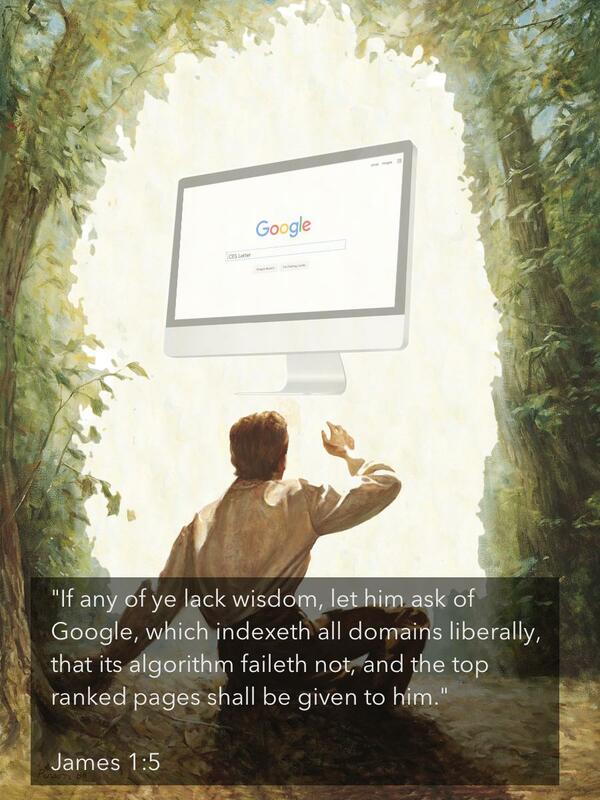 The url in the bottom right corner is http://goo.gl/yCzKwM which directs to Google search results for [burning in the bosom site:mormon.org]. Regardless of what they say, it really is true that Mormons believe you cannot return to God (i.e., dwell in the celestial kingdom in the afterlife) unless you pay tithing. 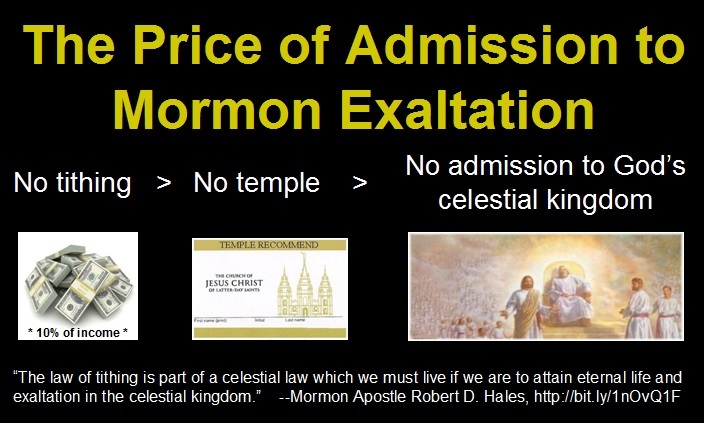 In other words, if you want to go to the highest level of heaven, it'll cost you. 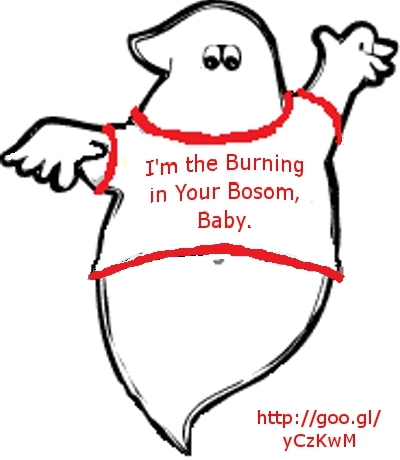 That's right, that burning in your bosom must be the holy ghost. Well, that's what members of the LDS Church (or Mormon Church) say--it's a burning in the bosom that tells them that theirs is the only true church on earth. Happy Halloween! Meet the Mormon holy ghost! In the Book of Mormon, we read that God will not forgive those who deny the holy spirit: "For behold, if ye deny the Holy Ghost when it once has had place in you, and ye know that ye deny it, behold, this is a sin which is unpardonable; yea, and whosoever murdereth against the light and knowledge of God, it is not easy for him to obtain forgiveness; yea, I say unto you, my son, that it is not easy for him to obtain a forgiveness." This verse is found in Alma 39:6. To people outside the LDS Church, claims about the Book of Abraham conclusively destroy Joseph Smith's credibility. But to true-believing Mormons, the Book of Abraham is just one more reason to "believe no matter what". 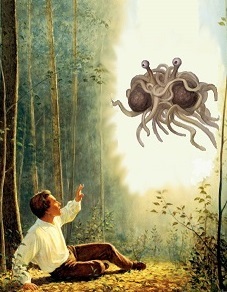 Joseph Smith's vision of the Flying Spaghetti Monster is catching a lot of attention from Pastafarians as well as people don't believe in the FSM. "Letter to a CES Director - Why I Lost My Testimony" takes the bloggernacle by storm! It's the truth. 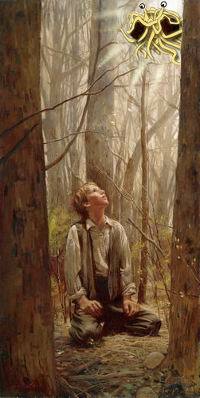 Check out this rather comprehensive summary of problems with LDS doctrine. Google will show you just how many people are reading it and talking about it. The violence in the Book of Mormon is well-documented. 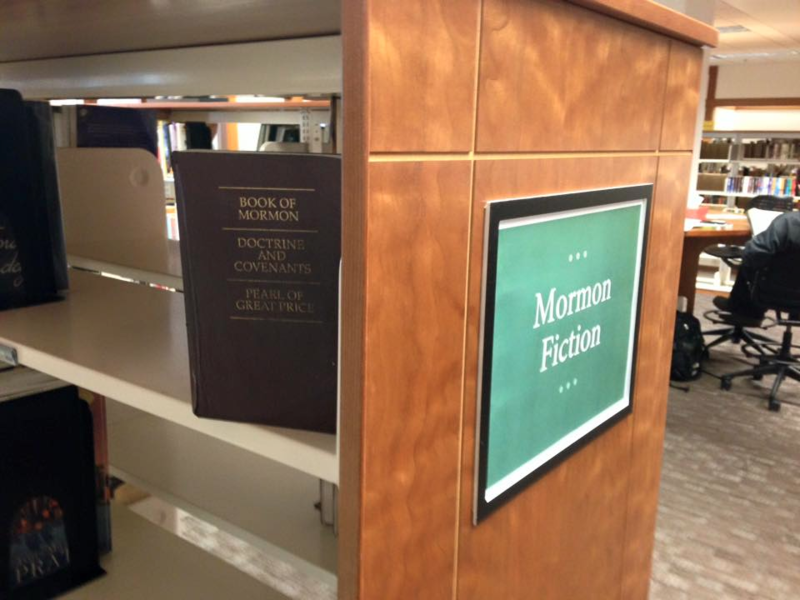 Many Mormons defend the Book of Mormon as a sacred book, however. You've gotta see Mr. Deity and the Evil. It's hilarious (although God is cruel, cruel, cruel) and only a few minutes long. Welcome to the Manyitems Blog. I'm thankful you could visit.